“Last October, Aviv Regev spoke to a gathering of international scientists at Israel’s Weizmann Institute of Science. For Regev, a computational and systems biologist at the Broad institute of MIT and Harvard, the gathering was also a homecoming of sorts. 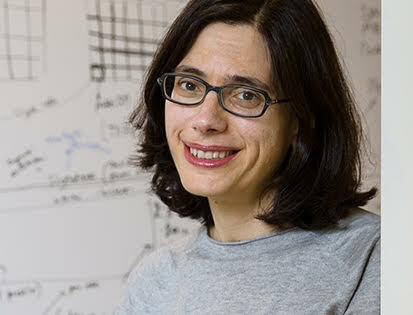 Regev earned her Ph.D. from Tel Aviv University in 2002. Now, 15 years later, she was back to discuss one of the most ambitious projects in the History of Biology. This project, the ‘Human Cell Atlas,’ aims to create a reference map that categorizes all the approximately 37 trillion cells that make up a human! “The cell atlas is often compared to the Human Genome Project, the monumental scientific collaboration that gave us a complete readout of human DNA, or what might be considered the unabridged cookbook for human life. “In a sense, the atlas is a continuation of that project’s work. But while the same DNA cookbook is found in every cell, each cell type reads only some of its recipes–that is, expresses only certain genes, following their DNA instructions to produce the proteins that carry out a cell’s activities. The promise of the Human Cell Atlas is to reveal which specific genes are expressed in every cell type and where the cells expressing these genes can be found.